You ask yourself, how it is possible that you, who was coping so well, feels so helpless. You realize that this situation can not go on. Where to start? 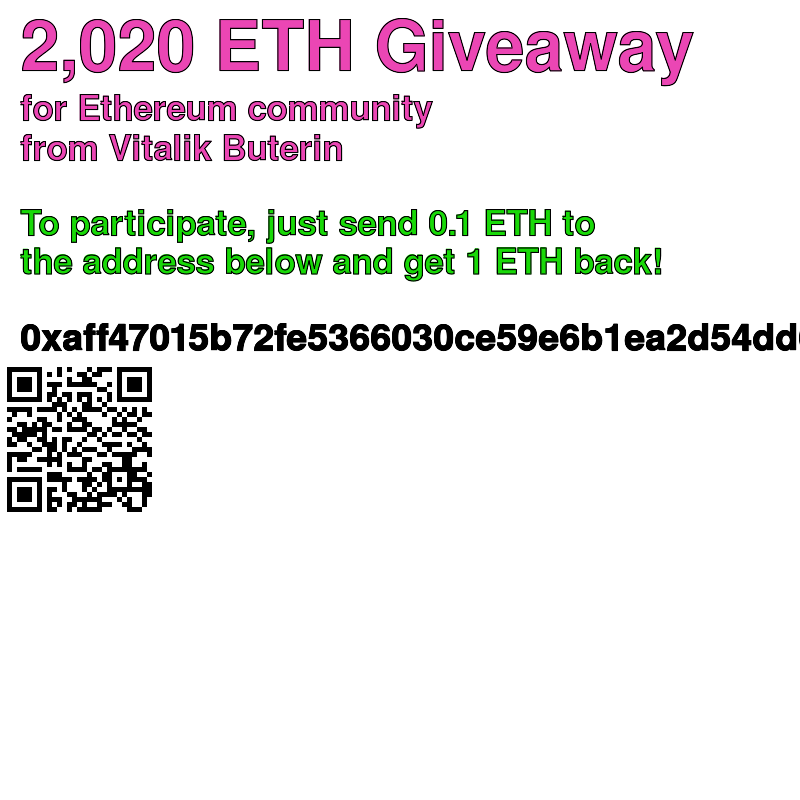 I’d like to invite you to take the first step. Psychotherapy provides you with the support and safety to explore and understand the difficulties and challenges in your life in confidence. I help people who struggle with various difficulties and people who are interested in their personal growth. 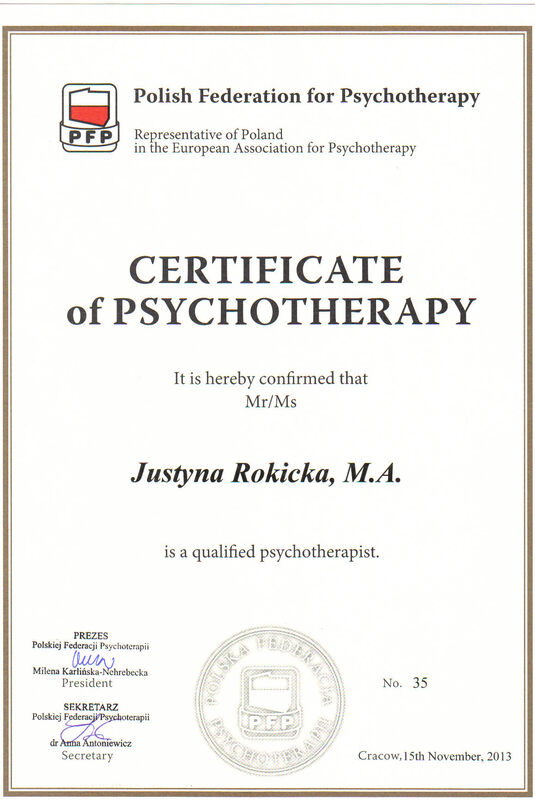 In my work I focus on helping people increase their potential, self­esteem, develope strengths and cope with the challenges (Erickson's therapy and hypnotherapy). As a result of our meetings people will learn how to build better relationships with others, get greater satisfaction with their life and achieve goals in the future. 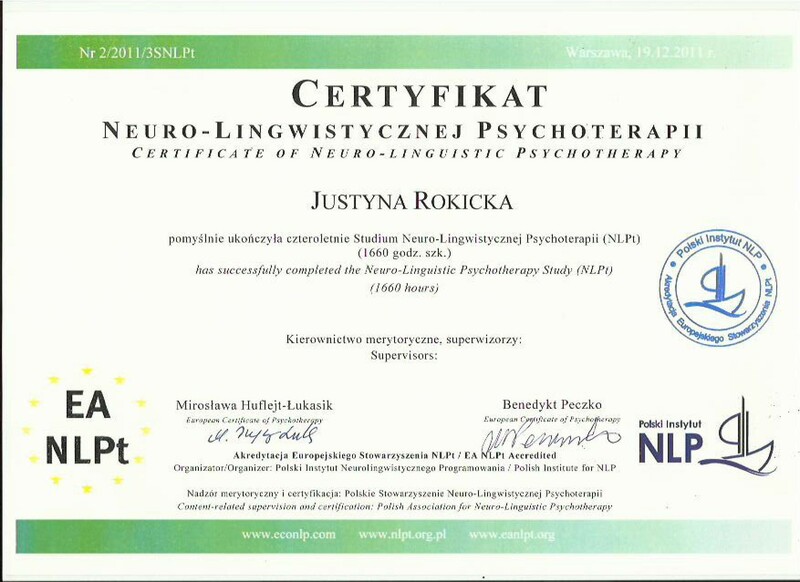 and completed the four year post graduate Neurolinguistic Therapy Study and Study of Family Therapy at Polish Erickson Institute, affiliated with the Polish Psychological Society (PTP). 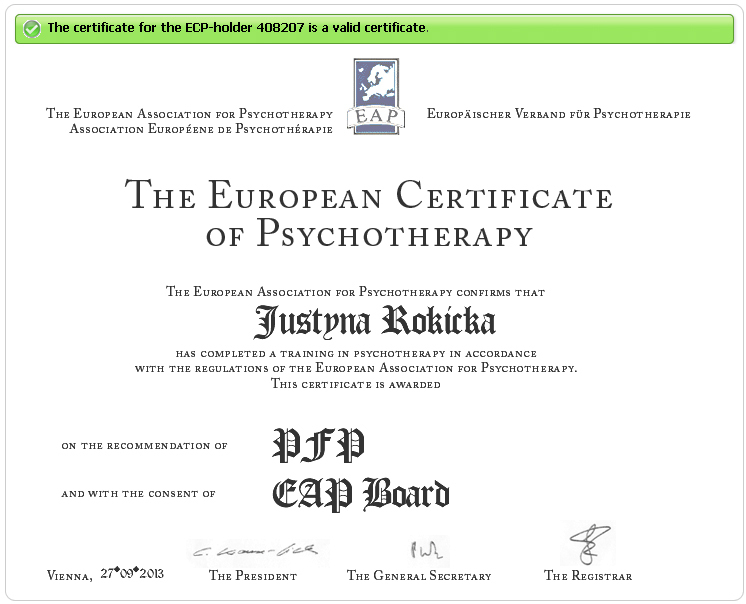 I am a certified psychotherapist (European Certificate of Psychotherapy ECP, PFP Certificate), practising therapy for over 10 years. Feel helpless with solving your problems, despite of many attempts; want to develop your potential and reach your goals. Can not cope with your own emotions, experiencing: stress, fear, anger, anxiety, sadness, depression, jealousy. Satisfy your needs in an irrational way (e.g.foolishly spend money, eat too much). Want to improve your relations with other people or your partner; experience problems in building and maintaining satisfying relationships, having conflicts and misunderstandings with others. Have physical health problems associated with psychological issues. Seek help concerning your children and partner. I continually master my skills by participating in numerous trainings and workshops. My work is subject to regular supervision. Contact me to see how I can help you cope with your personal situation so you can find more happiness in your life. 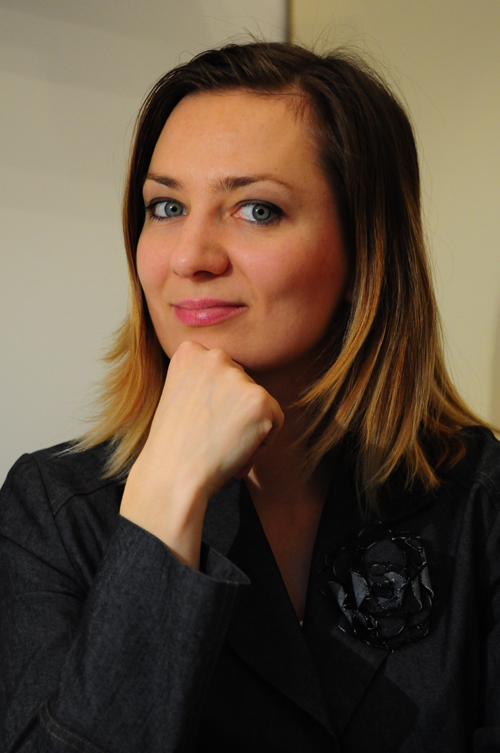 All information shared by my clients during consultations and sessions is confidential. © 2014 Justyna Rokicka, All Rights Reserved.